The count down has started: Out with the old and in with the new! 2015 may be coming to a close but some of the stories that repeatedly made our headlines this year are sure to be back in 2016; some with a vengeance. From the Exide toxic pollution scandal to the threat of El Nino, to the growing number of homeless, rising rents and crime numbers, the battle to close the 710 to 210 transportation gap and demands for higher wages, EGP predicts these issues will continue to grab headlines in 2016. Not because movement on the stories are at a standstill, but because they continue to evolve. Economists say more people are working and the economy has recovered, but there’s also an increasing amount of data showing many more people are now homeless and fewer people are able to buy a home or afford skyrocketing rents. 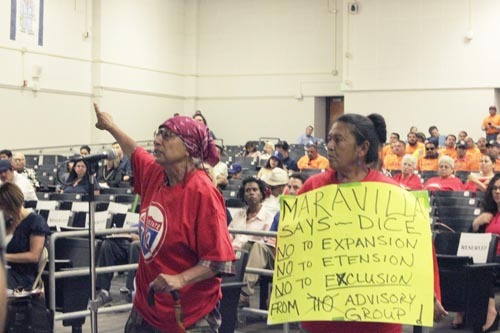 No story on our pages received more coverage than the battle by local residents and environmental justice activists to shut down Vernon-based Exide Technologies. 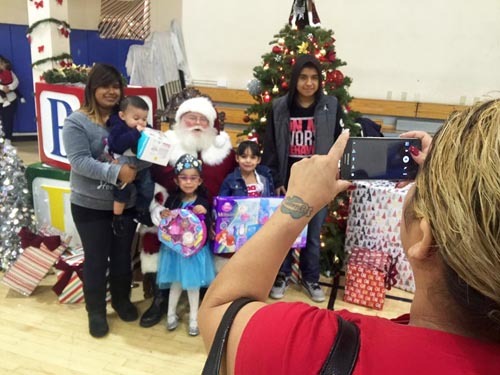 After years of hazardous waste violations, residents in East and Southeast communities in March rejoiced at the news that Exide – a lead-acid, battery recycler – would finally be closed permanently. In order to avoid federal criminal prosecution, the company agreed to close down permanently and pay millions of dollars in fines and for the cleanup of facility and any properties in surrounding areas contaminated by its emissions. 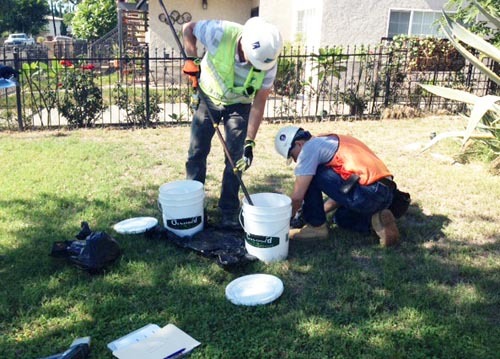 What’s Next: Testing and cleanup of properties in the surrounding communities of Boyle Heights, East Los Angeles, Bell, Huntington Park, Maywood and Commerce is still underway by the Department of Toxic Substances Control. Up to 10,000 homes may require decontamination. A community advisory committee is “overseeing” the process, including the removal and transportation of the tainted soil to another location. 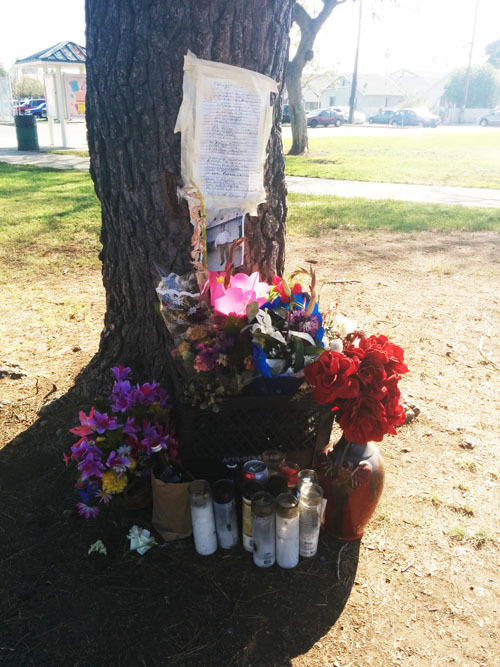 Also making multiple headlines in 2015 was the gang war in Northeast Los Angeles that resulted in numerous shootings and widespread fear in the community. Los Angeles police from the Northeast Division attended a community meeting earlier in the year where they told residents that the LAPD had increased patrols and stepped up enforcement of gang injunctions to get control of the street violence. 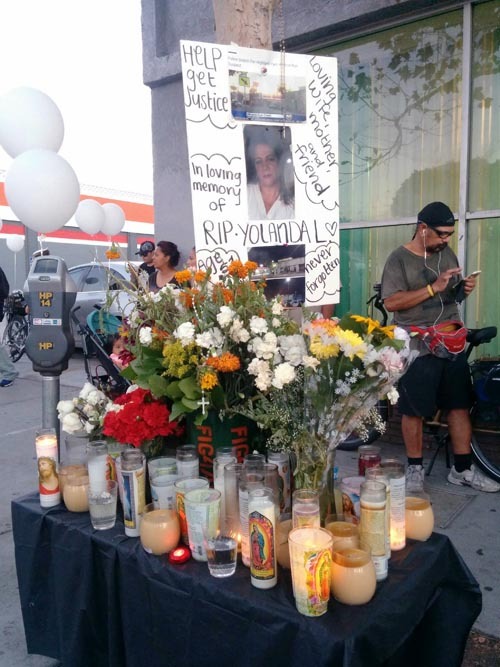 The gang violence did quiet down, but other violent crimes, including the murder of two young girls whose bodies were found in Debs Park, multiple stabbing attacks and gentrifying Figueroa Street took its place in the headlines. Hit-and-run deaths also increased, heating up the war over bike lanes, which advocates claim are the best way to slow down traffic and increase pedestrian safety. Opponents dispute their claim, saying bike lanes will not stop someone from driving under the influence or taking off when they hit someone. They also say the bike lanes will just create more traffic jams and decrease valuable street parking. What’s Next: Bicycle activists say they will continue to pressure the local Councilman, Gil Cedillo, and the city of Los Angeles to adopt their “road diet” plan in Highland Park. Cedillo has proposed other strategies, such as adding more traffic lights and signs in the area. The battle will continue. 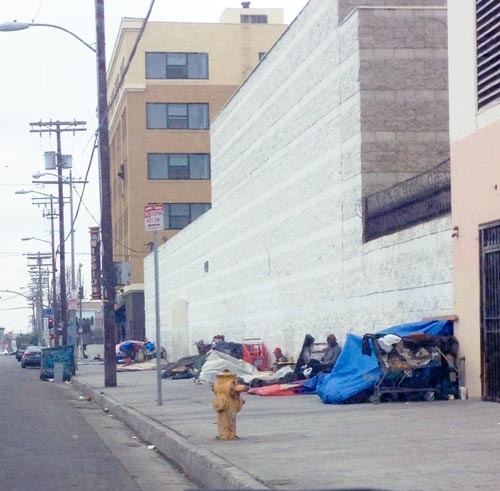 Throughout 2015, the city and county of Los Angeles have continued to report growing numbers of homeless and to talk about the need to spend millions of dollars to increase transitional and permanent housing and mental health services. Residents in several communities have complained that homelessness is a problem in their neighborhood and have called on local officials to move transients — forcibly is necessary – out of their neighborhood. While some point to the homeless as the blame for an increase crime, health and unsanitary conditions, blight and a host of other problems, advocates for the homeless fought efforts to criminalize the homeless and pushed for more services to assist them. More than 25,000 people are homeless within the city of Los Angeles, according to the latest 2015 count by the Los Angeles Homeless Services Authority. Countywide, homelessness has risen 12 percent since 2013’s count, from 39,461 to 44,359 people homeless. In September, Mayor Eric Garcetti and members of the city council declared “a state of emergency on homelessness” and committed $100 million to provide permanent and transitional housing to those in need. Earlier this month, city officials set aside $12.4 million to help house the homeless and provide more temporary shelter during El Nino storms expected this winter. The funding, proposed by Garcetti and approved by the City Council, includes $10 million for “rapid re-housing” subsidies for nearly 1,000 transients to help them with rent or move-in costs. The remaining funds will increase shelter beds this winter by more than 50 percent – to a total of 1,300. These beds will be targeted to those living in the Los Angeles River bed and the Tujunga and Arroyo Seco washes. At the County level, supervisors last week approved $5 million of Homeless Prevention Initiative funds be set aside for the expansion of programs that help decrease homelessness among youth in Los Angeles County. The County is now drafting a set of strategies to reduce homelessness through an intensive, inclusive planning process known as the Homeless Initiative, which will include recommendations to establish a Transition Age Youth Resources Center. Approximately 1.7 million runaways or homeless youth under the age of 18 live in Los Angeles County, according to the National Alliance to End Homelessness. Twenty-five percent of former foster youth reported they had been homeless at least one night within 2.5 to 4 years after leaving the foster care system. What’s Next: With the threat of El Nino looming larger every day, homeless advocates are scrambling to increase the number of shelter beds available this winter. A temporary shelter opened at All Saints Episcopal Church in Highland Park is one such facility that will likely receive emergency funding despite not meeting the Los Angeles Homeless Services Authority’s normal standards. Some cities are considering allowing people living in campers to park overnight at city-run facilities, and other changes. Federal, state and local officials have been aggressively preparing for El Niño heavy rains that are expected to hit the Southland this winter. In years past, El Niño weather caused traffic gridlock, neighborhoods to be flooded, toppled power lines and damaged homes with the pounding rain for days without end. Cities across the basin have been assessing infrastructure needs and making repairs to avoid storm damage. Topping the list of preparations across the region has been the clearing of debris flood basins and storm drains. Earlier this month the Federal Emergency Management Agency (FEMA) released a disaster response plan for severe storm weather. Commerce and several other cities have set up strategies for communicating with residents and business in the event of an emergency, are encouraging people to sign up for their Alert system notifications. Bell Gardens is sending residents “tips” for preparing for El Nino. Montebello and Commerce have each handed out a large number of sandbags to local residents. For more than six decades, the battle over how to close the 4.5 mile gap between the terminus of SR-710 Long Beach freeway in Alhambra and the northbound Foothill 210 Freeway in Pasadena has divided communities all along the route, from Commerce to La Canada. The heavily traveled 710 Freeway is a transportation nightmare for commuters and commercial vehicles in the area, and residents living in adjacent communities. Caltrans and Metro released a draft environmental impact report/environmental impact statement (DEIR/EIS) in March on five possible alternatives for closing the gap, they include: a “no build” option; a traffic management system; a rapid bus line, a light rail and a 6-mile freeway tunnel. Several groups have called for scrapping the report, after months of meeting and public comment, and starting over. Others have called the long delay a racist, environmental injustice, forcing low-income, mostly Latinos to bare the brunt of high levels of pollution while allowing more affluent communities to avoid carrying their share of the burden. What’s Next: Information from comments received during public hearings throughout the year will be used to prepare the final environmental document along with the agencies’ preferred alternative. We can expect to see ongoing debate and political maneuvering from all sides of the issue. As of Monday, hoverboards and other self-balancing electronic devices will not be permitted aboard Metrolink trains, officials with the Southern California commuter railroad said Monday. “This is a proactive step we’ve taken to ensure the safety of our passengers,” Metrolink spokeswoman Sherita Coffelt told City News Service. Coffelt said that Metrolink executives made the decision to bar hoverboards last week following informal discussions. The matter has not been addressed by the agency’s Board of Directors, she said. According to Coffelt, there have been no reported injury accidents involving hoverboards and other self-levitating products on Metrolink trains or at its 55 stations. “We just felt it was prudent to take this action now to prevent anything from happening,” she told CNS. Hoverboards function like skateboards but operate using electromagnets, rotors and other advanced technology. Coffelt said that if passengers board trains with their boards, Metrolink personnel will ask them to step off. The devices will not be seized, however. “They may not be able to ride,” the Metrolink spokeswoman said. Como hijo de padres inmigrantes que tenían varios trabajos para poder cubrir los gastos, el asambleísta Jimmy Gómez todavía puede recordar vívidamente la alegría que sintió en los años que pudo recibir un juguete para Navidad. “Eso era la gran cosa”, recordó el pasado viernes mientras se preparaba para recibir a cerca de 2.000 niños y sus familias durante la tercera Repartición Anual de Juguetes en El Sereno. “Se que un juguete podría significar mucho para un niño”, Gómez le dijo a EGP mientras los niños esperaban ansiosamente recibir sus juguetes y ver a Santa Claus. “¡Quiero ver los juguetes!” Se escuchaban niños diciendo a sus padres mientras saltaban y se acercaban más en la línea. Arlene Hernández y sus cinco hijos obtuvieron el primer lugar en línea, que se extendió por la avenida Rosemead. Ella le dijo a EGP que escuchó sobre el evento, por medio de Barrio Action Youth and Family Center, donde sus dos hijos mayores reciben tutoría. “Es emocionante y me siento agradecida porque hay muchas personas que no tienen dinero para los regalos”, dijo Hernández. “Es generoso lo que [el asambleísta] está haciendo”, añadió. Una vez dentro del gimnasio de la organización, los niños de Hernández al igual que muchos otros continuaban entusiasmados viendo las mesas llenas de juguetes en fila. Habían muñecas, muñecos de peluche, sonajas, juegos de mesa, coches, figuras de superhéroes y muchos juguetes más. “Este es mi segundo año y me gusta que cada vez esta más y más grande”, reflexionó Hernández mientras veía las mesas llenas de juguetes separadas por edades. Según Gómez, cuando fue elegido miembro de la Asamblea en 2012 adquirió el compromiso de ayudar a su comunidad y estar visiblemente activo en su distrito, que incluye gran parte del este y noreste de Los Ángeles. “Quiero asegurarme de que le estamos dando a la gente un poco de esperanza durante los días festivos”, explicó acerca de su participación en el evento. Una exitosa recolección de juguetes, así como patrocinadores como Time Warner, Barrio Action y otras organizaciones hicieron posible la repartición de juguetes, de acuerdo a la oficina del asambleísta. Niños que iban a recibir regalos, desde recién nacidos hasta los 13 años, fueron requeridos a registrarse previamente en Barrio Action, según el portavoz de Gómez, Aaron Keshishian. Él dijo que el evento fue “muy gratificante”. Mientras Teresa García esperaba en línea con sus tres hijos y tres sobrinos, le dijo a EGP que su hija adolescente toma clases contra ‘bullying’ en Barrio Action y ahí es donde se enteraron de la distribución de juguetes. Como muchos otros esperaron pacientemente, con vales en la mano, su turno para recoger su juguete. La directora de Barrio Action Tammy Membreno le dijo a EGP que trabajaron con el asambleísta Gómez para llevar un poco de felicidad a las familias que viven en la zona. “No podemos sacar a las familias de la pobreza, pero podemos quitarles un peso de encima al proporcionarles juguetes para sus hijos”, dijo, haciendo hincapié que muchos de los padres que participan son jóvenes y al proporcionarles juguetes para sus hijos les dan una gran ayuda. Después de todo, “Se trata de compasión durante la festividad navideña”, dijo. 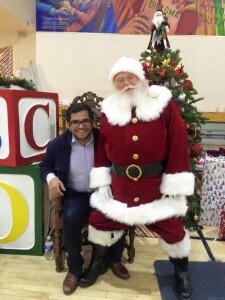 Gómez—recordando que cuando era un niño deseaba con todo su corazón estar al lado de Santa Claus—no pudo resistir la tentación de tomarse la foto con él, esta vez con un pequeño arreglo en la postura tradicional; Santa sentado en su pierna para pedir algo especial en esta temporada. ¿La petición de Santa? Que Gómez continúe luchando en la asamblea por las familias de California. María Leandra Reyes intentó fallidamente contener sus lágrimas al recordar la trágica muerte de su buen amigo Jesús Valderrama y su reciente osadía en la búsqueda de sus familiares. Valderrama, 62, originario de Chihuahua México, fue asesinado el 10 de marzo alrededor de las 10:20am, cuando un Honda Accord 2003 que viajaba en dirección oeste sobre el Bulevar Whittier cerca de la Avenida Ditman Sur se subió a la acera y lo golpeó mientras tomaba una siesta bajo un árbol afuera del Centro de Personas Mayores Rubén Salazar en el Este de Los Ángeles. Las autoridades identificaron al conductor del vehículo como Ángel Lujano, 18, de Montebello. Dos pasajeras estaban en el auto en el momento del accidente y Lujano fue detenido en el lugar, según la Oficial de la Patrulla de Caminos de California, Doris Peniche. “[Lujano] Puede que haya estado bajo la influencia” de drogas o alcohol, dijo. “El caso está bajo investigación”. Reyes no estaba en el parque en el momento del accidente y dice que se sorprendió cuando se enteró de la noticia. Habían pasado sólo unas horas desde que se vieron por última vez, recordó. “Como que [él] tenía una sensación de que algo iba a pasar, porque me dio su celular y me dijo que me quería mucho”, dijo visiblemente afectada. Chuy—como amigos lo llamaban—era un viejo amigo de la familia y como un padre para Reyes, según le indicó a EGP. Inmediatamente Reyes se sintió con la obligación de notificar a la familia de Chuy en México sobre su muerte y organizar su entierro, quedando ella misma con muy poco tiempo para llorar la muerte de su amigo. El único familiar de Chuy en Los Ángeles era un hermano que esta internado en un hospital de convalecencia. Reyes intentó notificarle sobre la muerte de Chuy pero el hospital no lo recomendó prudente. “La enfermera dijo que la noticia podría matarlo”, dijo Reyes. El único contacto de emergencia que el hospital tenía en archivo era un número desconectado de otro estado, agregó. Sin saber a dónde ir, ella se dirigió al Consulado General de México en Los Ángeles en busca de ayuda, donde se encontró con más obstáculos puesto que ella no es pariente del difunto. El consulado ofrece una variedad de servicios a los ciudadanos mexicanos que viven en EE.UU., incluyendo la notificación a los familiares sobre una muerte o, en algunos casos ayudan a transportar los restos a México. “Tratamos de contactar a los miembros de la familia en México y buscamos opciones” para ayudarles cuando ocurren estas tragedias, explicó el portavoz del consulado, Sergio Juárez. Fue finalmente Reyes, quien encontró la información de un hermano de Chuy en México y le dio la trágica noticia. Ramón Valderrama llegó a Los Ángeles el viernes pasado y el lunes fue al consulado para pedir ayuda y organizar el funeral de su hermano. “Vamos a recibir $1,700 [para ayudar] con los servicios funerarios”, Ramón le dijo a EGP por teléfono el martes. El programa del Consulado de México “Traslado de Restos” tiene convenios con cinco morgues en México y aquí se encargan de preparar el cuerpo –embalsamamiento, ataúd—y el envío a México, que puede costar hasta más de $2,000. El proceso puede tardar varios días, dijo Juárez, quien también explicó que los cuerpos son enviados, ya sea a la Ciudad de México o a Guadalajara, y de allí conducidos vía terrestre a su destino final. La cremación, sin un entierro, es menos cara, alrededor de $1.000, informó. La historia de Chuy ilustra la importancia de asegurarse que alguien cercano sepa cómo comunicarse con su familia en caso de una emergencia, o su muerte, ya que sólo un miembro de la familia inmediata –cónyuge, hijos o padres— pueden solicitar la ayuda del consulado mexicano, lo cual requiere comprobante de que los miembros de la familia y los fallecidos son de nacionalidad mexicana, dijo Juárez. Los documentos válidos aceptados incluyen; acta de nacimiento, pasaporte mexicano o identificación militar. Como se informó anteriormente por EGP, el Consulado de México también puede ayudar a los familiares a obtener una visa humanitaria para viajar a EE.UU. en caso de una emergencia, como una enfermedad grave o muerte. “[Los familiares] sólo necesitan el pasaporte mexicano y una carta oficial membretada de la morgue con información específica” sobre la persona fallecida en EE.UU., dijo Juárez. Mientras tanto, Reyes y algunos de los otros amigos de Chuy –muchos de ellos visitantes frecuentes al Centro Salazar—están recolectando donaciones para ayudar a sufragar los gastos del sepelio. Cajas de donación se han colocado en los negocios cercanos, dijo Reyes. Muchos asistentes regulares al parque estaban allí en el momento del accidente y algunos todavía están muy conmocionados por la tragedia, de acuerdo con funcionarios del parque. Andre Herndon, oficial de información pública con el departamento de parques y recreación del condado le dijo a EGP que inmediatamente notificaron al Departamento de Salud Mental para proporcionar consejería de crisis a las personas mayores y otras personas afectadas. “Nuestro personal se puso en contacto con personas que vieron el accidente”, dijo Herndon. Hasta el momento, dos personas han solicitado ayuda. Debido a que a veces toma semanas para recordar los episodios y otras tensiones emocionales relacionadas con el incidente que se produzca, el asesoramiento estará disponible indefinidamente, dijo Herndon. Aquellas personas que necesitan ayuda pueden llamar al (800) 854-7771, las 24 horas, siete días a la semana. Según Reyes, el centro para personas mayores era el lugar favorito de Valderrama para pasar el rato. Él iba a jugar billar y le gustaba relajarse en el pasto afuera del centro, dijo. “Nunca pensé que Chuy sería asesinado de esta forma”, agregó con tristeza. Ella siempre le decía a Chuy, “no se duerma en el pasto”, mejor vaya a la casa porque lo pueden balacear”, con tantas pandillas. Yo creo que “era el plan de Dios que muriera ahí”, finalizó. Si usted o alguien que conoce necesita ayuda en un caso similar en Los Ángeles, llame al Departamento de Protección del Consulado General de México al (213) 351-6800 ext. 2405 o visite el 2401 West 6th Street, LA 90057.